193036 - Tomei Oil Baffle Stiffener - Pann Auto Performance - San Diego largest aftermarket automotive performance parts - What do you drive? The main cause of engine problems is due to the metals used. The majority of the causes of these issues are due to the lack of the oil in the oil pan (sump) and cavitations. Also the lack of rigidity in the crank case is also another key factor for the problems. 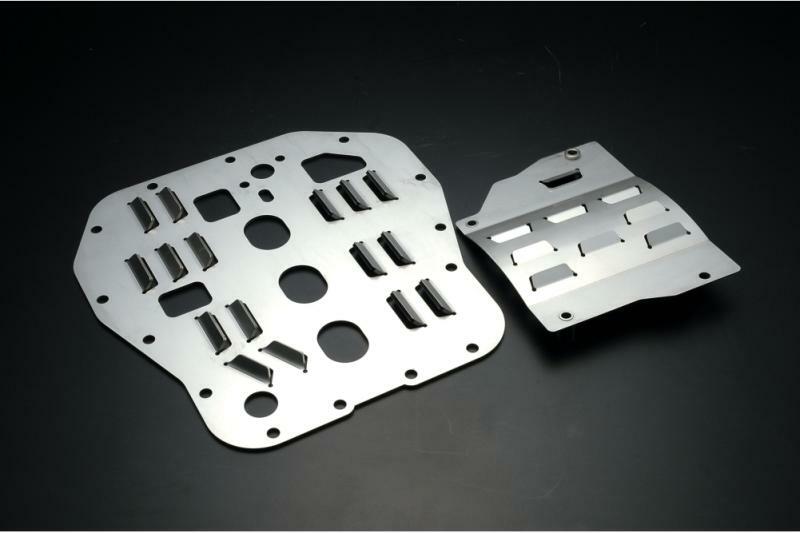 The Tomei Oil Baffle Stiffener will help strengthen the left and right of the crankcase to help provide the added support with its dual structural design. The rubber baffle design helps with controlling the oil supply stability. This gives you the added control to reduce blow by for both the EJ20 & EJ25 owners who use their cars for circuit racing.